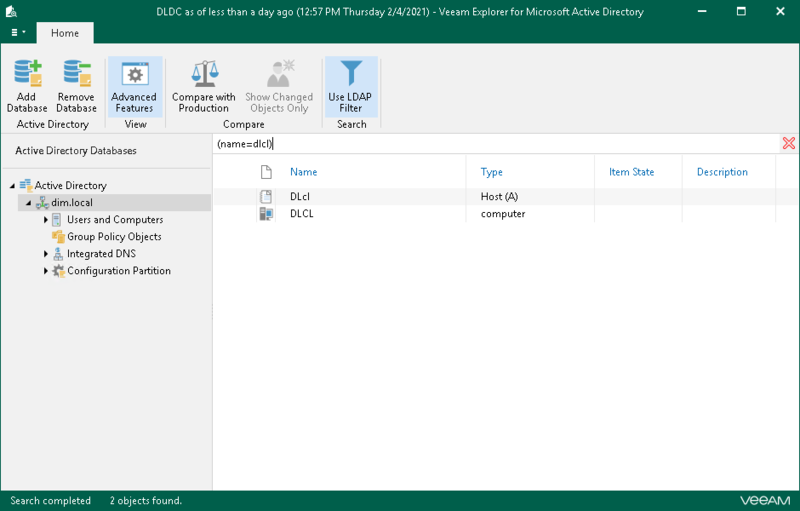 To view the content of a backup file, use the navigation pane which shows you the database structure containing your active directory objects. 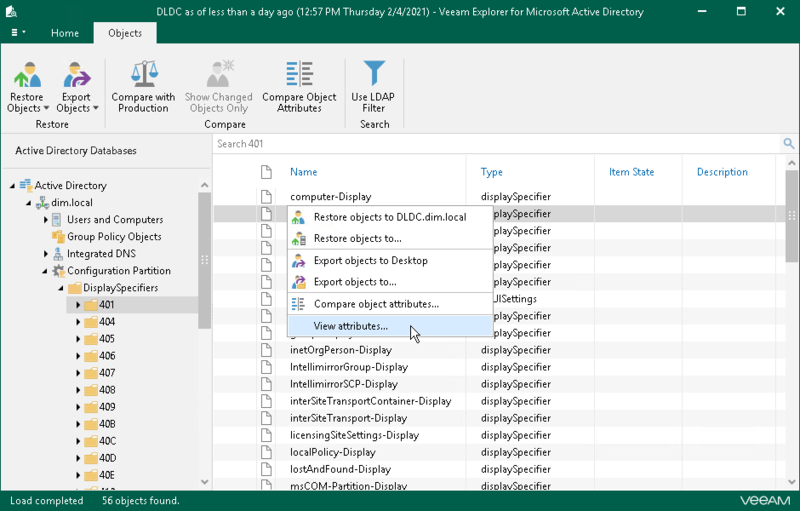 Right-click an object and select View Attributes to view objects attributes. To copy necessary attributes to the clipboard, select an attribute and press CRTL+C on the keyboard. Multiple selection is also supported. Due to organizational and security purposes, recovery of Domain Controllers objects is not supported. To find the exact phrase, use double quotes. 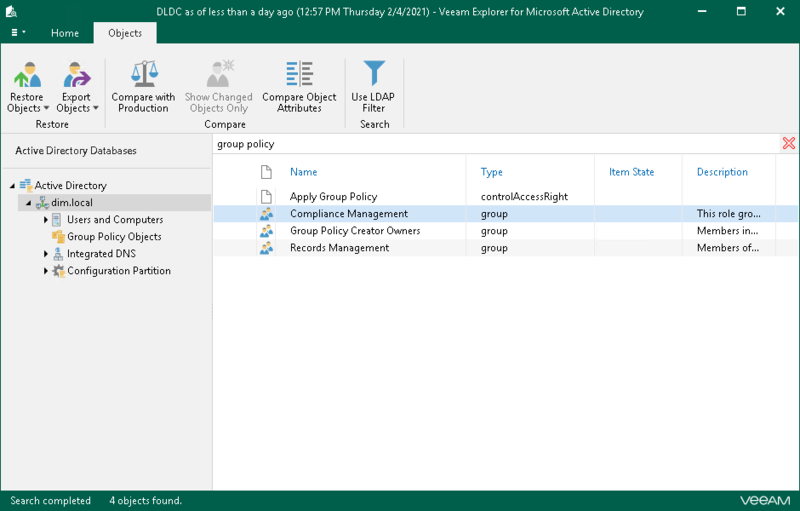 For example, “group policy”. Go to the Home tab and click Use LDAP Filter. In the search field, enter an LDAP query and click the search button.